On February 12th 10-12 the Department of Informatics is arranging a lecture with Mats Alvesson. Alvesson is a prolific, well cited and internationally established researcher on organization, management and identity. 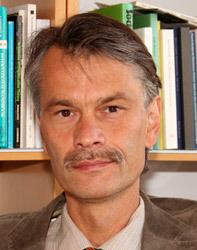 In 2010, he was appointed Wallenberg Scholar with a personal research grant of 15 million kr. The lecture is themed “Creative Research” and discusses two ideas on how to produce interesting research. 1) Identify and articulate implicit assumptions within a field of knowledge and formulate opposite assumptions, and 2) Create and solve mysteries. The lecture is based on the book “Kreativ forskning. Mysteriet som metod” (Alvesson, Kärreman, Liber 2012).